ROCHESTER, NY--(Marketwired - Apr 26, 2017) - Document Security Systems, Inc. (NYSE MKT: DSS), ("DSS"), a leader in anti-counterfeit, authentication, and diversion protection technologies whose products and solutions are used by governments, corporations and financial institutions today announced that its wholly-owned DSS Plastic Group division will be presenting at the 15th Annual RFID Journal LIVE! Conference and Exhibition being held at the Phoenix Convention Center in Phoenix, AZ on May 9-11, 2017. DSS Plastic Group, whose product expertise include security printing, plastic card manufacturing, Enhanced Tribal Cards, RFID products, SwiftColor InkJet Plastic Cards, Secure Card Designs and Polycarbonate card production, has been providing innovative and secure solutions for businesses worldwide for over 40 years. Their vast experience and knowledge has made them a leader in the plastic card industry, and has resulted in an impressive client list consisting of numerous governmental agencies, and some of the most well respected brands in the world; including social media giants, global technology firms, and U.S. professional sports organizations and events. 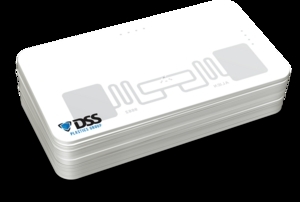 "The strategy we identified and have been executing upon for the last couple of years has been for DSS Plastics to increase its focus on technology enabled cards and identification," according to Jeff Ronaldi, CEO of DSS. "We have seen significant growth in this area and continue to move aggressively into these markets through events like RFID Journal Live!" DSS Plastics Group will be collaborating with Alien Technology and will be located in Booth #404 during the conference. "We are very proud to partner with Alien Technologies and to exhibit at their booth for the largest RFID event in the U.S. RFID Journal Live is great exposure for our team and a valuable customer relations event for our continued growth and profitability. From large event credentials to standard ID's, RFID is growing in the card industry as companies invest in automation of identity, inventory & access," stated Jaeson Caulley, Vice President of DSS Plastics Group. RFID Journal LIVE! is the world's largest and most important event focused on radio frequency identification and related technologies. Now in its 15th year, LIVE! features more than 200 exhibitors from around the world. The conference program, which features more than 100 sessions -- including more than 50 new end-user case studies -- is comprised of preconference seminars, the main conference (keynotes and tracks) and post-conference master classes and workshops. 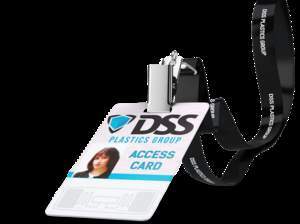 DSS Plastics Group, ("DSSPG") a division of Document Security Systems, Inc. and based in Brisbane, CA has been manufacturing innovative plastic cards and products for businesses, worldwide, for over 40 years. Their vast experience and knowledge has made DSSPG a leader in the plastic card industry and their state-of-the-art products are created through the combination of strict quality controlled offset printing methods and unique manufacturing techniques. From new card formulations to sophisticated graphic artwork to highly advanced security features, DSSPG crafts the most innovative and applicable plastic products available today. For more information, visit, www.dssplasticsgroup.com or call (415) 585-9600. Document Security Systems, Inc.'s (NYSE MKT: DSS) products and solutions are used by governments, corporations and financial institutions to defeat fraud and to protect brands and digital information from the expanding world-wide counterfeiting problem. DSS technologies help ensure the authenticity of both digital and physical financial instruments, identification documents, sensitive publications, brand packaging and websites. DSS continuously invests in research and development to meet the ever-changing security needs of its clients and offers licensing of its patented technologies. For more information on DSS and its subsidiaries, please visit www.DSSsecure.com. For more information on the AuthentiGuard Suite, please visit www.authentiguard.com.